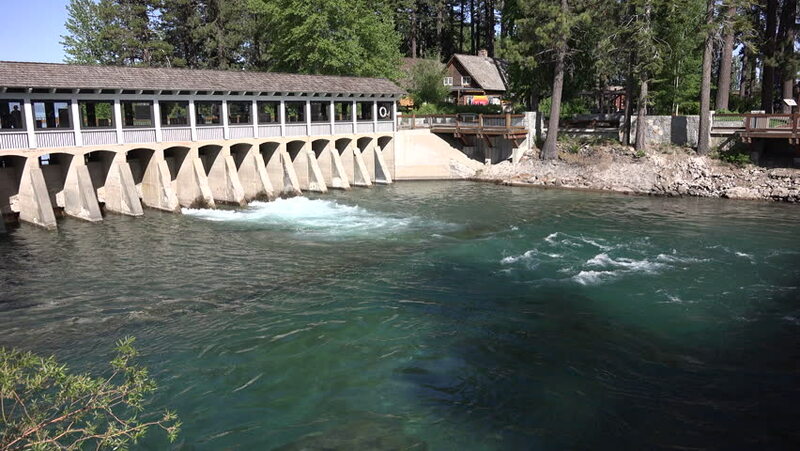 4k clip of water flowing through the dam at Lake Tahoe in California on a sunny day. hd00:30Wide shot of man made waterfall/Backyard Waterfall/A small, man made waterfall pours into a backyard pond. 4k00:06Waterfall in a autumn park, time-lapse 4K.